SEOUL, South Korea (AP) — A U.S. special envoy for North Korea on Thursday visited a border village the rival Koreas has been demilitarizing as part of steps to reduce military tensions amid a larger diplomatic push to resolve the nuclear crisis. 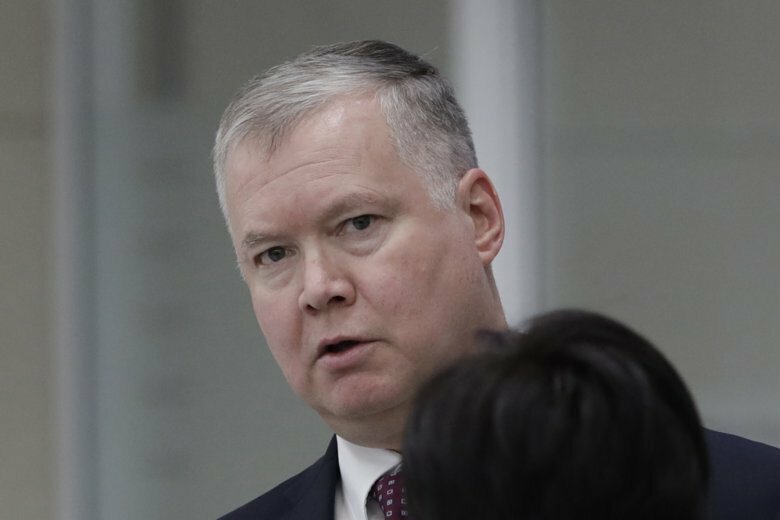 The U.S. Embassy in Seoul did not provide details about Stephen Biegun’s visit to Panmunjom. He wasn’t expected to meet with North Korean officials at the village, which is often used for diplomacy between the allies and North Korea. During his four-day visit to South Korea, Biegun plans to discuss with South Korean officials the allies’ policies on North Korea, including the enforcement of sanctions. The meetings are likely to include conversations about a groundbreaking ceremony the Koreas plan to hold at Panmunjom next week for a project to reconnect their roads and railways.